Stop posting cleverbot screencaps. They're not funny, and also have nothing to do with things that can't be unseen. 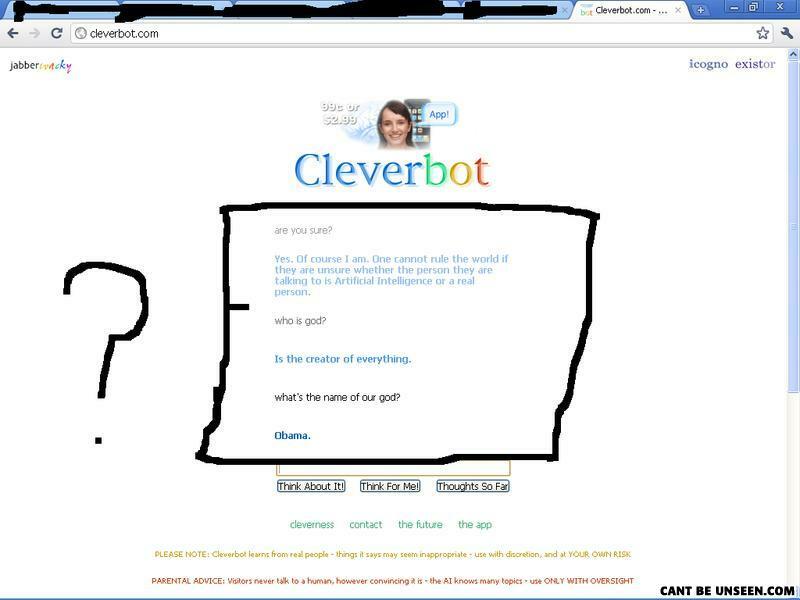 CleverBot is said to learn from people. Do you think Obama is god? I don't. I don't think you do. Conclusion: CleverBot DOES NOT, in fact, learn from people.